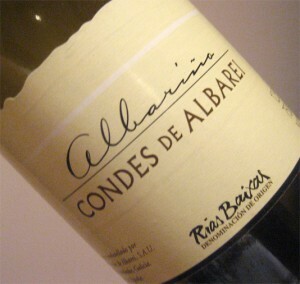 Albariño is the primary white grape variety of the Rías Baixas D.O., found in northwest Spain’s Galicia. The wines are typically light, crisp and refreshing—the perfect thing for a hot summer afternoon. While summer here in the Pacific Northwest was anything but hot, I still made a point of breaking out the Albariño, perhaps as my way of disputing the cool rainy weather (not entirely unlike Galicia though!). Galicia has a very mild climate regulated in large part by the Atlantic Ocean, and unlike much of Spain is incredibly verdant due to higher rainfall. Because of these cool, damp conditions grapes are often grown on arbors, which allow increased airflow to help prevent rot. 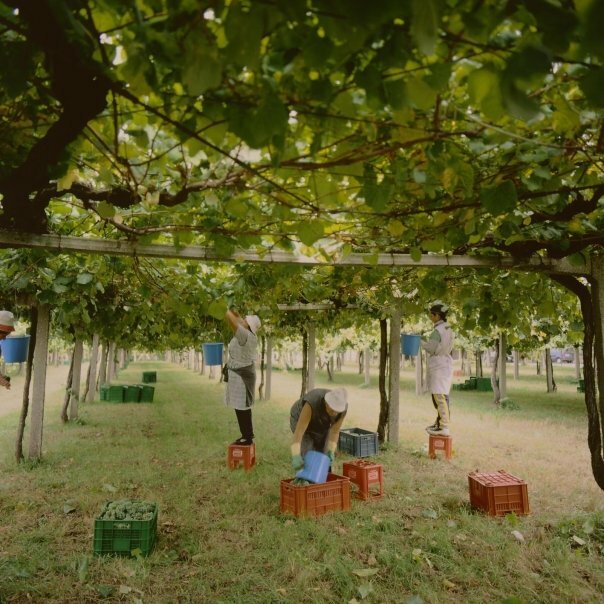 The cooler weather contributes to the bright acidity often found in the region’s white wines, a major structural component which makes albariño such a good food wine. The crisp acidity is ideal for the seafood that dominates Galician cuisine. A group of fellow wine professionals from the Portland area got together late this summer to conduct a tasting of different Rías Baixas Albariños. The panel had the overall opinion that the 2009 vintage was very consistent in character, flavor, and style. This is great if you’re unfamiliar with these wines, as you’ll likely not go wrong with whatever is available to you. On the other hand, it might be a disappointment to some who are looking for variety in their wines. Regardless, the wines were all zesty, refreshing, and food-friendly. Clear, pale greenish-gold in color. Vibrant aromas including peach, stone fruit, tropical fruit, melon, lime zest, tangerine, freshly cut grass, white flowers and minerality. A dry wine with medium-high acidity, medium body, and a long finish. Flavors effortlessly mimic the aromas and offer loads of citrus, peach pit, and minerality. Higher priced than others at $25, this wine is above the median for the region but offers tons of complexity that is worth the cost. Clear, lemon-yellow in color. Clean, medium intensity aromas including peach, pear, grass, fresh herbs, stone, and candied citrus. A dry wine with mid-level acidity, medium-light body, and a moderate-to-long finish. Flavors of citrus zest, lemon, and apple. Of the panel’s favorites this is the only blend: 70% albariño, 15% loureiro, 10% treixadura, and 5% each caiño and godello. This wine is reasonably priced, though more affordable options are definitely out there. Clear, greenish-gold in color. Clean aromas including herbs, lime, tropical fruits, and melon. A dry wine with higher than average acidity, medium body, and a medium finish. Flavors of lemon and lime, minerality, and bright pineapple. A mid-priced wine, offering decent quality for the cost. All wines provided by Rías Baixas Wines. Pamela Heiligenthal & Marc Hinton: co-founders and editors at Enobytes. Pamela is also a certified Spanish Wine Educator. Mimi Martin – co-owner, director, and instructor at Wine & Spirit Archive in Portland, OR. Mimi holds her WSET Diploma in Wine and Spirits. Lisa Strid – Advanced WSET student at Wine & Spirit Archive, author of the blog Noble Sot. Lisa holds her Intermediate WSET certification with distinction. Ryan Reichert – certified Spanish Wine Educator and managing editor for Palate Press: the online wine magazine. Nice tasting! The Burgans and Pazo are lovely wines. 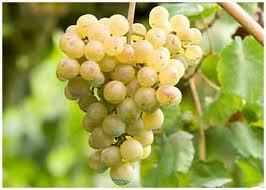 Also try the Benito Santos Vinedo de Xoan Albariño. Minerally and briny with some stone fruit coming in afterward. Thoroughly enjoyable. Enjoy your blog!! !